It’s a bit of a renter’s market at the time of writing this article, so homeowners have to be spot on when it comes to advertising their homes to potential tenants. The best way to attract tenants quickly and easily is to offer your rental home at the proper price and to advertise it honestly. If you are working with an estate agent then they should be able to take care of this for you, but if you are working alone then how should you price and advertise your home for let? Researching rental competition in terms of prices, condition of the property and added “extras” can help homeowners get a feel for the rental market in their area and formulate how to advertise their own properties for maximum tenant interest. Pricing your rental home fairly and attractively can be a delicate balance. On the one hand you want to charge enough rent to cover your own costs and make some money from the arrangement, on the other hand you don’t want to charge so much that potential tenants lose interest or are priced out of your property. Easy ways to find out the going rate of comparable properties in your area include: checking the advertisements at local estate agents; browsing ads in local papers and looking on websites that house accommodation databases such as CityLets, RoomsForLet and TheHouseExchange. Make sure to take into account location, number of rooms, number of bedrooms and bathrooms as well as local amenities when you are looking at the rental prices of comparable properties. One thing you will not be able to check from the comfort of your own home is the condition of rental competition. If open days are being held for comparable properties then attend a few. Have a good look around and take note of the condition of furnishings, common areas (staircases, corridors, etc), paint, bathrooms, appliances and more. If the condition of your property is better then you might be able to charge slightly higher rent. If the condition of your property is worse then you might want to invest in upgrades so that you can charge comparable rent. Also take note of anything that might be lacking in a competition property that your property offers, for example more or larger windows, a balcony or patio, a garden or a parking space. These variables might affect the rent you set for your property as well. Even if you can’t get inside a property you can still visit and have a look at the exterior, get a feel for the neighbourhood and confirm if it really is as close to amenities as is advertised. If your rental property has “extras” that may not be found in competitor properties then make sure to advertise these items clearly and honestly. Mod cons, new appliances, upgraded items such as whirlpool baths or landscaped gardens and utilities included in the monthly rent are all examples of “extras” that might make your property more attractive to tenants than competition properties. These “extras” may not be enough to justify charging more rent than your competitors, but they may well make your property more attractive to tenants thus keeping the amount of time your property is unrented (and not earning any money) to a minimum. 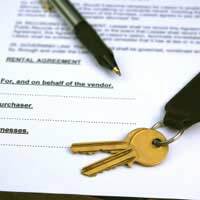 Researching rental competition is an important part of figuring out how much to charge for rent and how to make your property more attractive to potential tenants. Researching competition prices, the condition of competitor properties and advertising any “extras” in your own property should help you entice the most potential tenants and make the most of your rental properties.